Can Not Eating Make You Lose Weight? Can not eating make you lose weight? Yes, it can, but only for a short period of time. 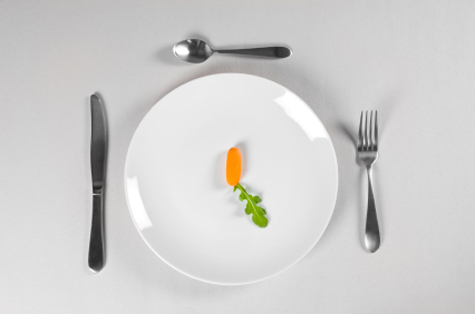 Starvation dieting is neither healthy, nor sustainable. Women's weight loss does not have to be complicated, but above all, it should be sensible and safe. Belly fat on women carries a tremendous price tag in the form of health disorders and depression. Being overweight taxes a woman's body and her emotions. Women who want to lose belly fat and thigh fat, and are fed up with "dieting" are easily seduced by marketing campaigns aimed at quick weight loss. It is understandable why search terms such as, "Will you lose weight by not eating", "Will not eating help lose weight", and "Can I lose weight by not eating" are so often entered in Google, or asked in Yahoo Answers. When women become totally frustrated with not getting the results they desire, many turn to dangerous strategies involving prescription diet pills, appetite suppressants, starvation diets, harsh exercise routines, and even bariatric surgery. It does not have to be this way for you. There is no room for "extreme" tactics when it comes to getting rid of belly fat. Yes, it will take time to lose weight with a proven eating program that focuses on optimal nutrition and progressive fat loss, but it will benefit you much more than a severely restrictive diet. Searching online for information related to "Can not eating make you lose weight" will result is a lot of suspect content that could easily harm your system. Yes, intermittent fasting is a viable and healthy strategy for women's weight loss...but it is a gentle tactic that is used periodically, NOT day after day. Weight loss success stories for women happen when a proven program is coupled with positive lifestyle changes. * Dieting does NOT work. You want a quality nutritional program that helps you discover how to make lifelong changes in your eating habits. * It took time to put on excess weight. Be forgiving of yourself and take time to lose it progressively. Losing 1-2 lbs. per week is safe, and really adds up over time. * Sugar foods and starchy processed foods are the biggest culprits that sabotage women's weight loss. The sooner you get these foods (Yes...I know they taste delicious.) out of your current diet, the faster the inches will come off. * Begin a moderate exercise plan. Even if you just start walking 20 minutes each morning, it will help accelerate your results. * You lose weight by burning more calories than you take in, but if you severely restrict your intake, it will slow down your metabolism...and results will come to a halt. * Eating natural foods and a solid protein source with each meal or snack will enhance your health, your mood, and your weight loss goals. * Drinking more water and getting much better rest will help accelerate weight loss. You can get the results you want and lose fat forever by following a sensible program of nutrition and moderate exercise. I do not want you to participate in questionable strategies than could put your health in danger. I hope this answers the question: "Can not eating make you lose weight?" What Is ICD 9 Fibromyalgia? What Is The Best Colon Cleanse?